The home is a space that is personal, an oasis of familiarity and a creative outlet that represents all the things that truly matter in our lives. Whether its art, a collection of souvenirs or family heirlooms, there must be a place to showcase and highlight these meaningful objects. Saving the day (and spatial character) are modern bookcases that will not only accommodate the needed displaying functionality but also create a dramatic focal point in any contemporary interior setting. 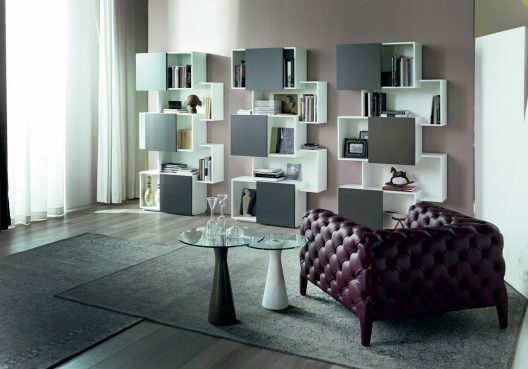 Note bookcase by Bonaldo is a creative way to showcase art and collectibles as it can be placed against a wall or used as a room divider in open floor concepts. Its open structure allows for easy access to all its contents thanks to the visually notable pattern of horizontal and diagonal lines that are further distinguished by an ombre color combination. 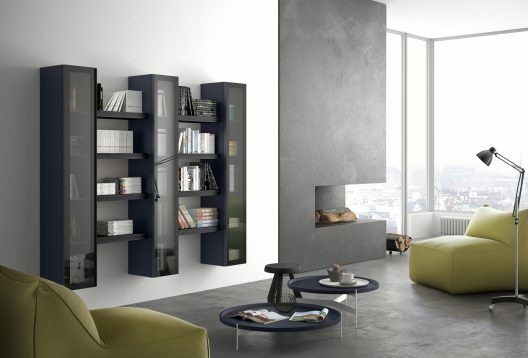 Made in Italy, Spazio 66 wall mounted bookcase and display cabinet by Pianca is a unique storage solution that allows to simultaneously display the most valuable things behind glass doors as well as in an open shelving system. 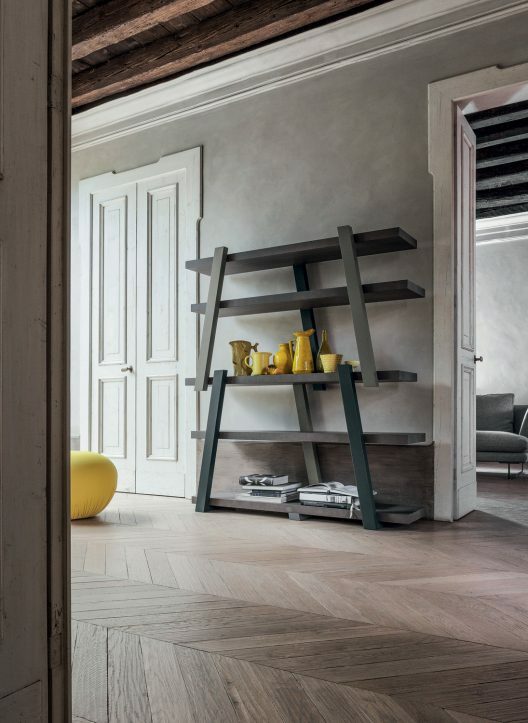 With a myriad of colors and finishes to choose from, Spazio 66 bookcase is the ultimate composition to create visual depth through its closed/opened facade. Designed by Andrea Lucatello, Piquant bookcase by Cattelan Italia goes beyond its innate utility by incorporating discerning functionality of sliding doors into its dynamically designed facade. Offering both hidden and open areas through the sliding door compartments, Piquant bookcase undertakes the task of fulfilling multi-functional needs in any of today’s modern interiors. Father’s Day is just around the corner and we have compiled a really cool list of presents to surprise the ‘World’s Best Dad’ ever! For the man who loves unique pieces that are also functional, these great gift ideas deliver high-quality decorative elements that will not only be memorable but also useful. 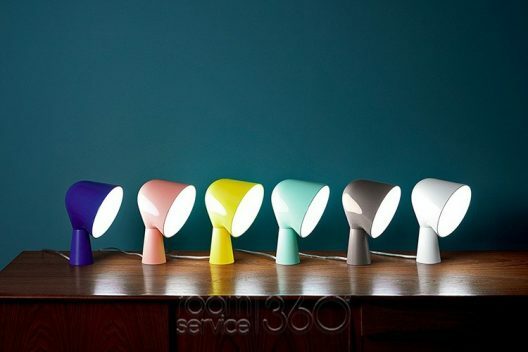 Our discerning suggestion list includes Binic table lamp by Foscarini that’s a really great gift for just about anyone and comes in a variety of colors to make it easy to place in the house. 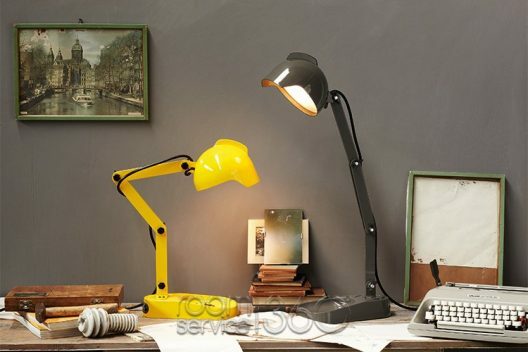 If Binic is a tad playful, then a the more tactical, Duii task lamp by Diesel for Foscarini has a retro style and a highly utilitarian nature. 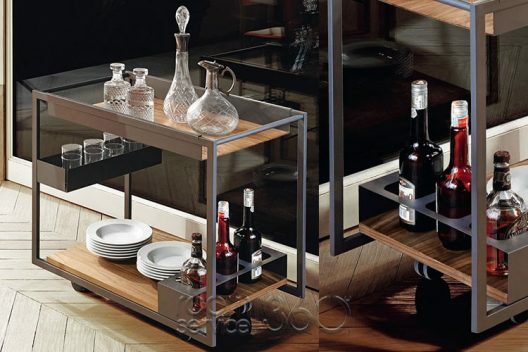 For the dad who loves to entertain, Mojito Wood mobile bar trolley by Cattelan Italia is the ultimate solution. With space for liquor bottles, glassware and dinnerware, this is the best companion for after dinner cocktails or dinner outdoors. And lastly, for the dad that deserves a bit of a royal treatment, Yannik coat hanger by Cattelan Italia is designed to revive an-age old tradition that’s based on an actual job; that of a man’s personal attendant responsible for his clothing and appearance. Yannik offers a convenient structure to hang a jacket or a shirt on, preparing for an upcoming workday. Yannik valet stand features a small seat that can be used to put on socks and shoes. With summer officially on its way, the bright colors are alerting and inviting at once. Especially as they spell out everything that’s associated with summer. The strikingly fresh combination of orange and navy blue is all about warm weather, lazy afternoons, water and fresh fruit. This elegant yet lavish combination of cool and bright magnificently epitomizes summer in particularly when it is cleverly applied to furniture that denote modern settings and create contemporary environments like the Orange Slice chair and the ABCD sofa by Pierre Paulin for Artifort. Following their fairy-tale nuptials on May 19th, The Duke and Duchess of Sussex will continue living in Nottingham Cottage that’s a part of Kensington Palace, a 17th century eponymous royal residence. Its lavishly designed with refined spaces like the Cupola room and King’s staircase, showcase intricate details that were spearheaded by infamous British architects like Sir Christopher Wren and William Kent over the Palace’s multi-century long expansion and renovation. 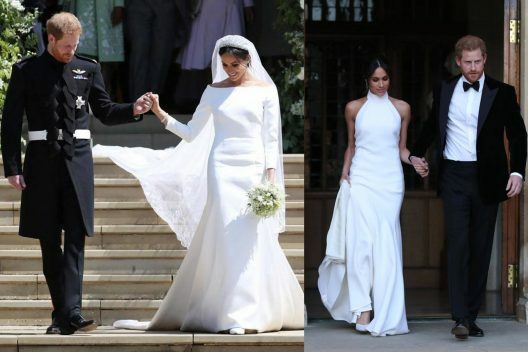 Yet the uber modern new royal may add a touch of her eloquent simplistic style to her new royal residence as she so famously did when she chose the super minimal Givenchy and Stella McCartney wedding gowns. With Meghan Markle’s influence, the otherwise palatial interior may have a modern twist. With understated, unfussy elegance, the sumptuous space occupied by the royal newlyweds will perhaps be diluted by cream-colored streamlined sofas, naturally finished wooden tables with glass legs, and bedrooms that offer simple lines and important essentials that collectively highlight the traditional grandeur of the Palace. Lago’s Air bedroom and dining room collection as well as its Slide sofa all have an intrinsic aptitude for blending interior styles and environments, proof of which can be seen in the incredible parallels between interiors curated by Lago and the infamous Palace. 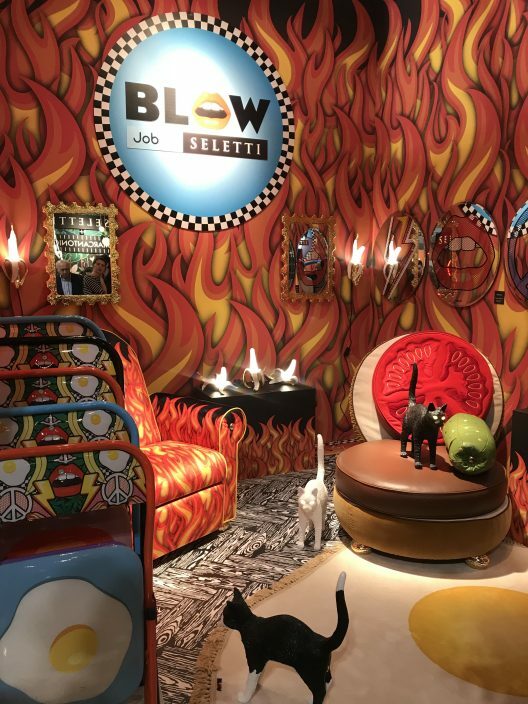 Perhaps one of the most memorable stops at 2018 iSaloni was a visit to the Seletti showroom that presented its latest collections spearheaded by the Belgian designer Job Smeets from Studio Job and by a collaboration with Toiletpaper Magazine whose legendary publishers are Mauritzio Cattelan and Pierrepaolo Ferrari. 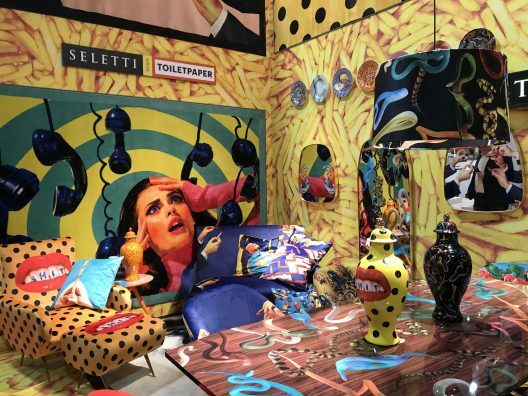 Full of daring design that leaves incredible impression, Saletti’s first-time ever showing at iSaloni was a combination of pop-art and catchy modern design that pushed conventional limits through its bold allusions and surreal physicality. 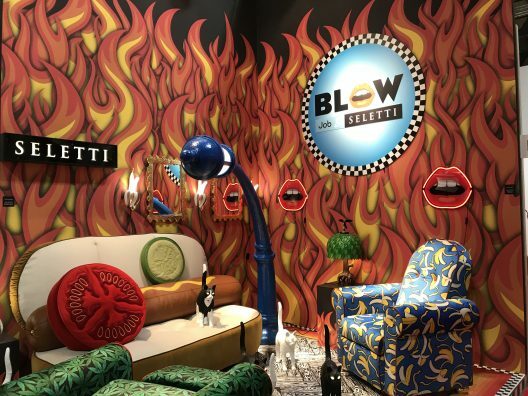 From fast food furniture like a hot dog sofa and hamburger chair, Blow branded accessories like the Blow plate and Blow wall art, rugs in a shape of a fried egg and lamps in the shape of a peeled banana, to the Seletti wears Toiletpaper collection that included provocative graphics like “Two of spades” pillows and rugs or the “Teeth” armchair and vase.